This year Finnfest USA takes place in Hancock, Michigan, which seems to be a real Finnish American nesting place. More than 30 percent of people living in Hancock claim Finnish descent! Also Dancing Moominvalley is taking a part in this years festivities. I dare say that we have become a regular feature at these festivals. And why not? 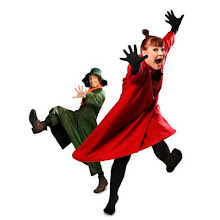 I can imagine dancing Moomins beeing a highlight at the festival especially for the younger public. It is always a treat to interact with the Moomins. Dance will be seen in many different forms during the festival. Finnish Societies around the world seem to have a strong intension to keep their dance traditions alive. 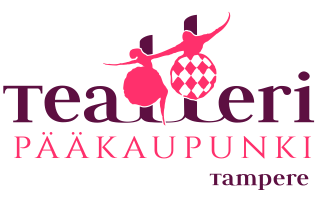 These folk dance groups get regularly together to cherish different variations of Finnish folk dance and traditions. In countries like Finland folk dance tradition has also taken a big step towards the contemporary dance creating some really beautiful cutting edge art. The bottom line is that each dance is unique and beautiful in its own way regardless the style. We are looking forward to mingling FinnFest USA 2013 beeing a cultural festival with a versitile programme and performers. And these are just a few of the many events happening next month in Hancock. We will see You in Hancock!